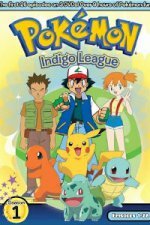 Pikachu, Charmander, Bulbasaur a Squirtle jsou jedni z mnoha tvorů se zvláštními schopnostmi, takzvaných Pokémonů, kterých je plný svět, ve kterém žije mladý Ash Ketchum, který se touží stát nejlepší trenérem Pokémonů všech dob. V jeho snažení mu pomáhají věrní přátelé, jež ho doprovázejí každým dobrodružstvím, ale mají samo sebou i nepřátele, kterým musí čelit. S21E11: 10,000,000 Reasons to Fight! S21E12: The Professors' New Adventure! S21E13: Let Sleeping Pokémon Lie! S21E14: The Dex Can't Help It! S21E15: Fighting Back The Tears! S21E16: Tasting the Bitter With The Sweet! S21E17: Getting A Jump On The Competition! S21E18: A Mission of Ultra Urgency! S21E19: Acting True to Form! S21E20: Pushing the Fiery Envelope! S21E21: Satoshi and Nagetukesaru! A Touchdown of Friendship!! S21E22: Turning Heads and Training Hard! S21E24: Love at First Twirl! S21E25: Real Life... Inquire Within! S21E26: Rise and Shine, Starship! S21E27: The Young Flame Strikes Back! S21E29: Sours for the Sweet! S21E30: Why Not Give Me a Z-Ring Sometime? S21E32: Some Kind of Laziness!! S21E35: Twirling with a Bang! S21E36: Showering the World with Love! S21E37: Not Caving Under Pressure! S21E38: A Young Royal Flame Ignites! S21E39: All They Want To Do Is Dance Dance! S21E40: Dummy, You Shrunk The Kids! S21E41: The Shape Of Love To Come! S21E42: The Long Vault Home! S21E44: Filling the Light with Darkness! S21E45: Full Moon and Many Arms! S21E46: The Prism Between Light and Darkness! S21E48: A Plethora of Pikachu! S21E49: Turning the Other Mask!